There has been much discussion lately among my peers about outdated search engine optimization (SEO) tactics. Also a hot topic among my peers is the subsequent push by search engines to require stronger content marketing strategies from web presences in order to succeed. Many agree that up until a few months ago, SEO, social media, and content marketing were three clearly separate marketing tactics in the digital marketing space. Lately though, it seems as if the lines between the three disciplines are becoming increasingly hard to discern. I find that it has become more and more difficult to achieve success with digital marketing efforts without incorporating all three of these once separate disciplines and mindsets. This is something that I thought we should look into a little deeper today. In order to accurately explain how SEO, social media, and content marketing are coming together to change the way we find (search for) information, it might be best to breakdown their individual functions. Search Engine Optimization (SEO) is traditionally the discipline of digital marketing that involves both tactics and strategy to help tell major search engines (i.e. Google and Bing) what a specific site is about. These efforts also help a website to rank higher, thereby achieving better visibility among search results (determined by the user/searcher). There are hundreds of factors that Google and the other search engines look for from within your web presence to determine how they will rank your website. The search engine’s only job is to deliver the most relevant sites based on the searcher’s query. Many traditional methods of onsite local SEO such as content optimization and link building are still utilized to optimize the actual content within the site. Now, more than ever, the actual content on your website matters; it plays a much larger role in your website’s ability to be found than ever before. The world uses search engines, not phone books. Don’t you want to make sure that your small business is found on Google, or are you fine with your website not working for you? Social Media has been around for a few years now, and yet many small businesses don’t have the first clue about what to share or how to share it. A general ignorance seems to exist about why we as businesses need to be sharing and participating on these social channels in the first place. For many who have tried to embrace social media, it is still viewed primarily as a soapbox used to broadcast a marketing message. If you were to take a step back and look at how you yourself use social media, you’d recognize that you mute your way through all of the “noise”…all of those businesses trying to shove their one-sided message down your throat. What likely grabs your attention are the genuine stories and the sharing of real and interesting information. It is likely that the posts you enjoy interacting with are about success stories, interesting photos, or intriguing questions. How and what we share or interact with through social media is now being considered in a big way by the search engines. Google and Bing are continuing to put more emphasis on social media connections. Similar to how a link from one site to another is an important factor in SEO, a “Like”, “+1”, or a Tweet is a strong indicator that a website is valuable to users. Logically, a web presence that is more widely shared across social media channels will fare better and appear more favorably in search results than a competitor’s stagnate website with no social media interaction. Content Marketing at its core has always been about creating something useful for someone else. Lately, Google has been penalizing websites that utilize “spam” content. The search giant has built into its algorithm the awareness to spot this “spam” (regurgitated and/or paid-for duplicate content). It is now imperative that your web presence is populated with original and high quality content. Quality content can be a blog post, a short video testimonial, or even a great looking infographic. Great content is original, and it is created in an effort to educate or edify the reader. For example, a trampoline park website that routinely blogs would create original content designed to bring value to that park’s guests. By developing a strong content marketing strategy, you are building a web presence with longevity in mind. As the Web becomes a more dominant force in helping businesses grow and attract customers, the idea of content marketing only becomes more important. Content marketing is what allows you to be found in a sea of noisy competitors and to build a relationship with customers that you’ll be able to profit off later. At the end of the day, the health of your web presence falls back on the heels of a strong content marketing strategy. The majority of our clients come to us because they have difficulty understanding all of the disciplines necessary to be successful on the Internet today. More often than not, these same business owners rarely have the time to dedicate themselves to becoming proficient with ALL of the available tools and tactics. 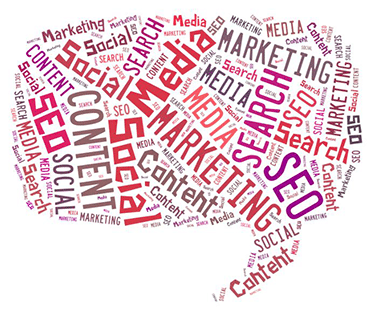 Content marketing alone can’t guarantee inbound marketing success. The pieces that you create have to fit into an overall strategy that employ the best-practice use of SEO, social media engagement, lead nurturing, and measurement. As mentioned at the beginning of the post, the line between local SEO and content marketing for small business has become a little blurry. Social media is in a similar situation. A desire to adapt early shows that one understands that there are major shifts in how we all consume information and the tools that are used to deliver it. Before, we used to view social media, SEO, and content marketing separately. Now, we more fully understand that one cannot survive without the other…and that each likely begets the others if used properly and a comprehensive strategy exists. Searching the Internet and socializing have become one in the same. In order to successfully market your business online, you must first develop a strong content marketing strategy that places creating high quality content at the forefront of your mission. A little over a year ago, Google unleashed the Panda update which targeted sites that rely on content mills. Content mills are sites that create content for the sake of creating content…be it for SEO reasons or profitability, they are now known by the search engine algorithms. The mills were copying content from other resources and leaching off of the system. Essentially, they were not adding any value to the user or the rest of the Internet. Many have become victim to the attractiveness of easy content and the charlatans looking only for a quick buck. When creating quality content, you want to take the high road. By focusing on a few basics that others skip over, your local business can dominate online as search and social continue to become one in the same. What is your competition doing? Is it working? How do other highly competitive markets look? What does your intuition tell you? Are there things that you know that people want to learn more about? What content would work best for your business’s buying cycle? For more information on how TrustWorkz can help your family entertainment center or amusement park dominate your local market, feel free to contact us or go through our free and easy website analysis. Image Credit: www.tagxedo.com Try it!